Platanthera stricta, commonly known as the Slender Bog Orchid, ranges from the Aleutians and southern Alaska through British Columbia to northern California, and east to Idaho, Montana and Wyoming. It grows to 100 cm. 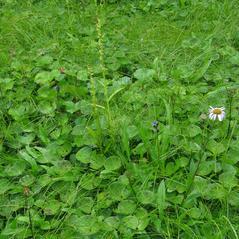 The long, slender spike has up to 60 green to yellowish green flowers, commonly marked with purplish brown. The lateral sepals are spreading or bent backward. The dorsal sepal forms a hood with the petals. 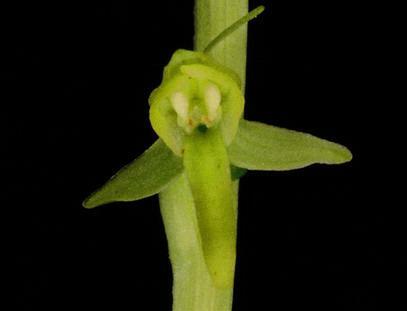 The inflated sac-like nectar spur is somewhat shorter than the long, narrow labellum. 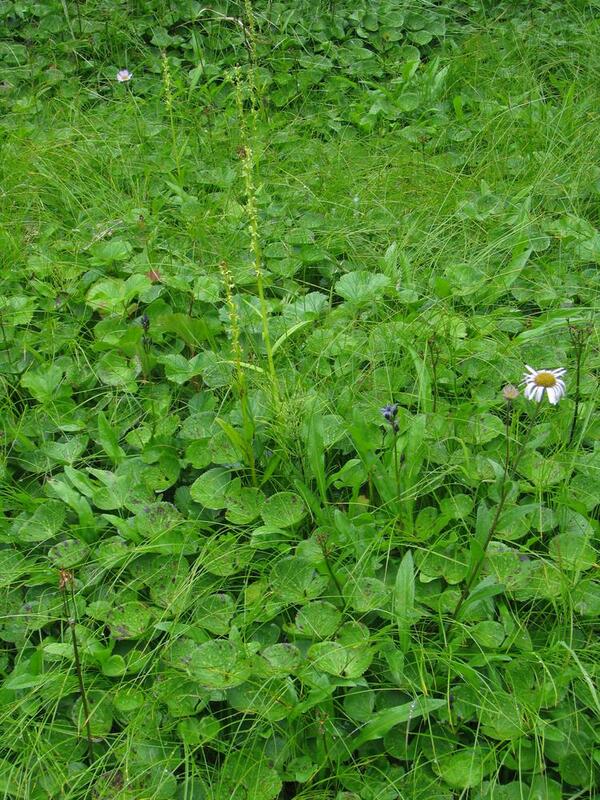 It grows in a variety of wet habitats including meadows, tundra, marshes, bogs, fens, swamps, stream banks, alpine heath, shores, bedrock and seeping slopes, coniferous forests, floodplains, thickets, ditches and roadsides. 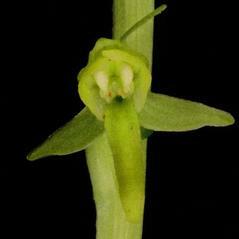 Platanthera stricta is considered globally secure. This orchid produces a number of aromatic compounds that may attract a variety of short-tongued insects in search of nectar. Pollinators include Antepirrhoe fasciata, Anthepiscopus longipalplis, Bombus flavifrons, Bombus melanopygus, Empis brachysoma, Empis delumbis, Empis laniventris, Empis virgata, Eustroma fasciata, mosquitoes in the genus Aedes, sweat bee (Lasioglossum sp.) and small unidentified moths. As the insect probes the nectar spur, pollen can be transferred onto the insect to be carried to the stigma of the next flower it visits. Due to the variation in sizes and shape of the pollinators, pollinaria attach to the insects in a variety of ways. Pollinaria attach to the proboscis or upper lip on Bombus species and the compound eyes on moths and butterflies. Species of Empis have been observed with pollinaria on the thorax, feet, compound eyes and mouth parts. Extra floral nectaries located on the flower stem may promote foraging and contact with the reproductive parts more likely.